This cozy and elegant room has a slight modern twist to it, adding a bit of je ne sais quoi to your visit. With views to both the French village below as well as to mountain vistas, this chic 22sqm room is a great choice. 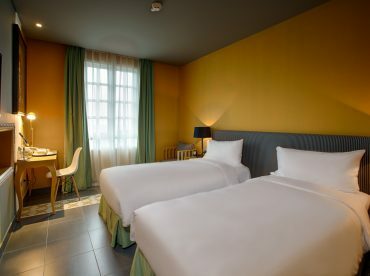 1 king is available which can accommodate two adults plus a child.